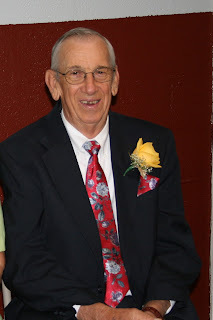 Robert Norris Whitlow, age 73, of Summer Shade, departed this life on Tuesday, August 17 at the Commonwealth Regional Specialty Hospital in Bowling Green. He was a member and deacon of Summer Shade Missionary Baptist Church. He was retired from Eaton Corp. and the Barren Co Health Dept. He also served in the United States Navy. Survivors include his wife of fifty one years, Joan Smith Whitlow; one son, Dr. Robert N:. Whitlow 11 and his wife Dr. Cheryl Whitlow of Glasgow; daughters, Donna(Michael) Ross of Utica, Ky. and Nancy(John) Wells of Lexington; and Brenda Whitlow of Summer Shade. Grandchildren Travis, Emma, Molly and Heather Whitlow, Laura and Mason Ross; Step grandchildren, Jim(Jacquie) Ross and Barrett Ross and Kristin Wells; Step great greatgrandchildren Will and Thomas Ross; sisters, Carol June McMurtrey and Gail(Dale) Rowlett both of Summer Shade; sister in law, Sondra (Harry) Jackson; brothers in law, Royce (Anita) Smith and Kenneth( Mickey) Smith. He was preceded in death by his parents, Robert A. and Helen Mackey Whitlow. Funeral services will be Friday, August 20 at 1:00 P.M. at the Summer Shade Missionary Baptist Church with burial to follow in the Beaumont Cemetery. Visitation will be Thursday, Aug. 19 from 3:00 to 8:00 P.M. at the McMurtrey Funeral Home and after 10:00 A.M. Friday at the Church. In lieu of flowers, memorials may be made to the Beaumont Cemetery or the Summer Shade Missionary Baptist Church.